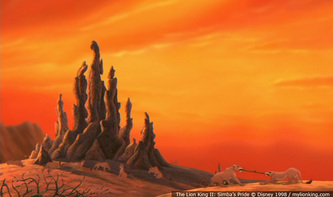 The Outlands is where the exiled lions of the Pridelands, the lions who were banished by Simba for remaining loyal to Scar, resided. The area has a desert-like terrain with small cliffs, trees, and few plants, and seemingly no fauna. 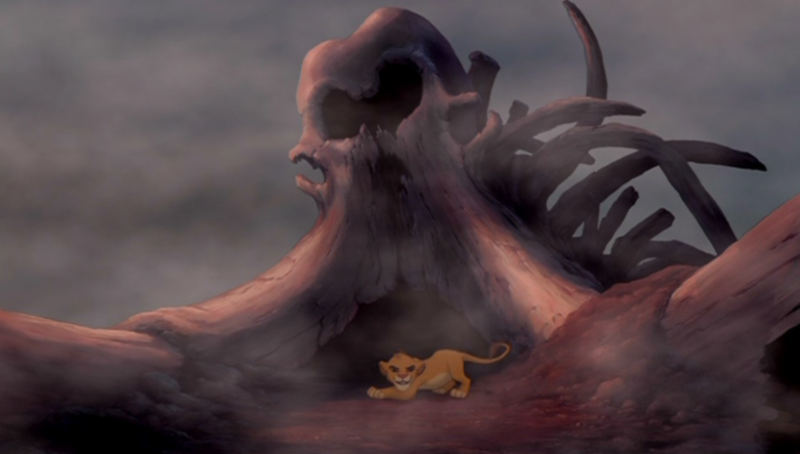 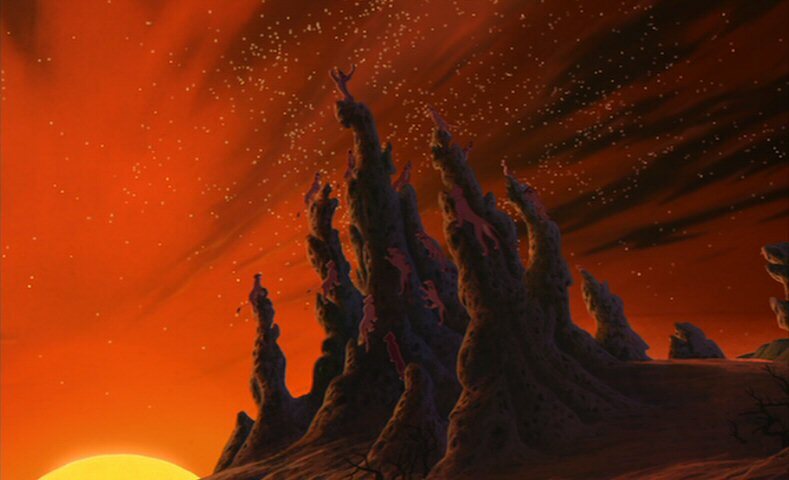 The Outsiders used to live in an extremely large termite mound, but in the end of Disney's The Lion King II: Simba's Pride, the Outsiders returned to the Pridelands, realizing how pointless it was to continue fighting. The Outlands lie beyond the Pridelands and beyond the Elephant Graveyard here is an Elephant Graveyard nearby, where a number of hyenas lived, but according to Nuka, they have long since left. 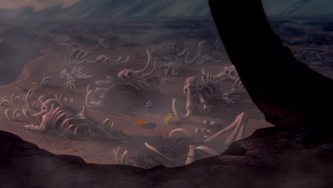 Also, many steam holes reside inside the skeletal elephants, used in The Lion King II: Simba's Pride by Vitani and Nuka to light fires in the hunting grounds in the Pridelands, and used in the the first movie as the "Birdie Boiler". 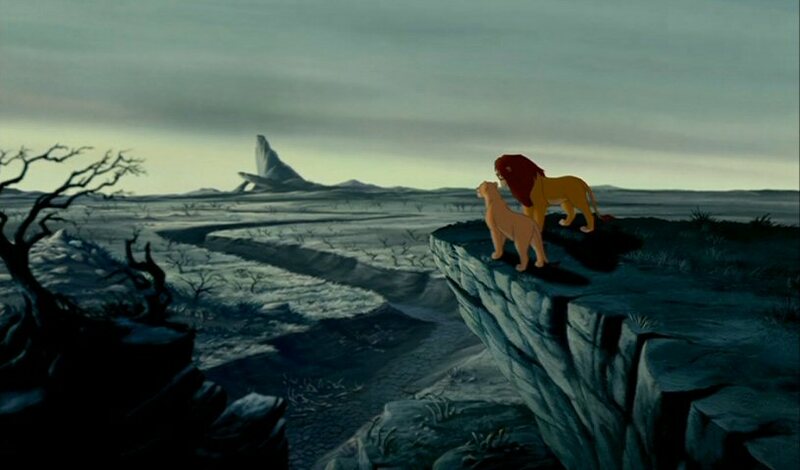 The lionesses from the Outlands have paler fur than lionesses from the Pridelands and are slightly thinner, probably due to lack of food in the Outlands, and the only two male lions shown (Nuka and Kovu) both have much darker fur, similar to that of Scar's.